Established in 1960, COSMO was a pioneer in the field of public relations in Japan. Today, COSMO is one of Japan’s leading independent strategic communication consultancies and continues to shape the communication landscape in the fields of Healthcare, Food & Food Science, and Consumer Goods & Services. 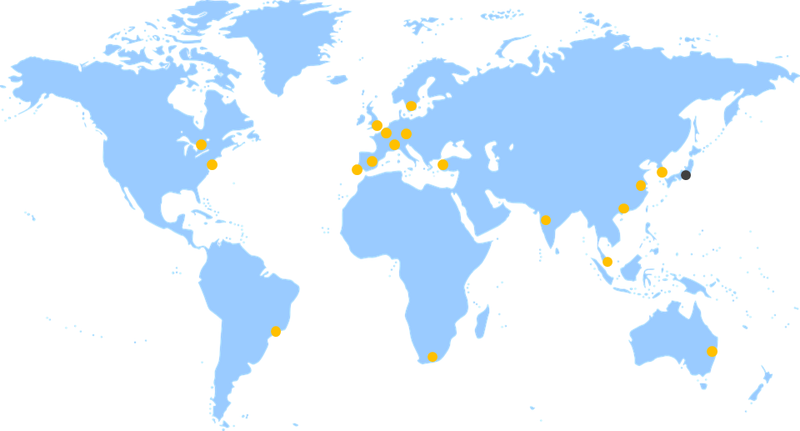 COSMO has worked with more than 500 companies, both international and domestic, and has extensive experience in localizing communication strategies to introduce overseas products and services to the Japanese market. COSMO’s seasoned advisors and communication consultants work together with a wide network of key opinion leaders to craft and execute top-quality, strategic activities that are innovative, relevant, and industry-appropriate. Founded in 1960. Assisted Japanese businesses in expanding abroad, improving Japan’s image. Pioneered Japanese market entry for foreign businesses. Offered strategic communication with an emphasis on liberalization. Helped multinationals achieve market dominance in Japan. Specialized in the areas of healthcare and food/food science. 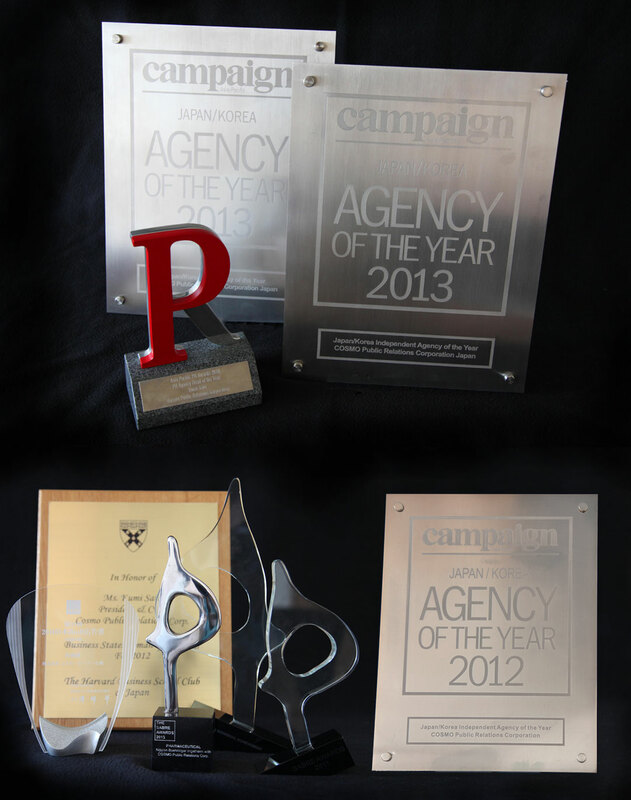 Continues to be recognized globally as a leading healthcare communication consultancy. The distinctive footprint of our vision can be found in every one of our projects and through our daily actions. Whether carefully crafting communication strategies for companies and their stakeholders, or encouraging impactful contributions from our staff, COSMO finds inspiration in creating value through effective, strategic communication that benefits society. COSMO is 40 diverse, multi-cultural and bilingual personnel, made up of both Japanese and international staff with diverse professional backgrounds. Kumi Sato took over the reins of COSMO in 1987 and gave the company its international focus. Today, a majority of its clients are global firms. Ms. Sato is an active member of several committees and boards overseas, and has held several leadership positions within these throughout her career. In 2013, Ms. Sato was appointed as Advisor for the Global Health Innovative Technology Fund (GHIT), and she is the Co-Chair of the Global Council for the New York-based Asia Society. Ms. Sato is also the founder of BioCube, a think tank with a focus on healthcare and bio-related topics. 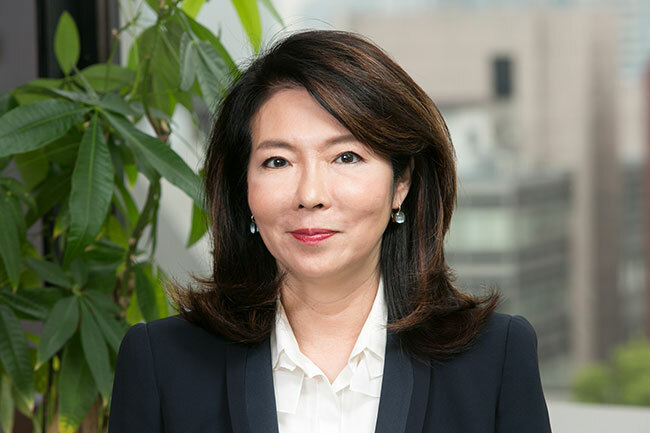 Ms. Sato served as Chairman of the American Chamber of Commerce (ACCJ) for 2011 and 2012, and is currently the Vice-Chair of the ACCJ’s Growth Strategy Task Force. For recognition of her 27-plus years of service to the chamber, Ms. Sato was appointed as the first Chairman Emeritus in January 2015. Ms. Sato is a business lecturer for Business Breakthrough, Dr. Kenichi Ohmae’s online business school and the author of two books: Aisareru Kaisha no Joken (2007), which compares views on CSR by Japanese and American companies, and Communication Leadership (2012), a business text book on strategic communication. Ryuji Kondoh oversees COSMO’s healthcare division. Mr. Kondoh has more than 25 years of experience in the public relations industry and expertise in crisis communication and issues preparedness, media relations and editorial management. He has worked on corporate public relations programs for many international pharmaceutical and medical clients. Mr. Kondoh also serves as Secretary-General of the Medical Journalists’ Association of Japan, founded in 1990, which has over 300 members. 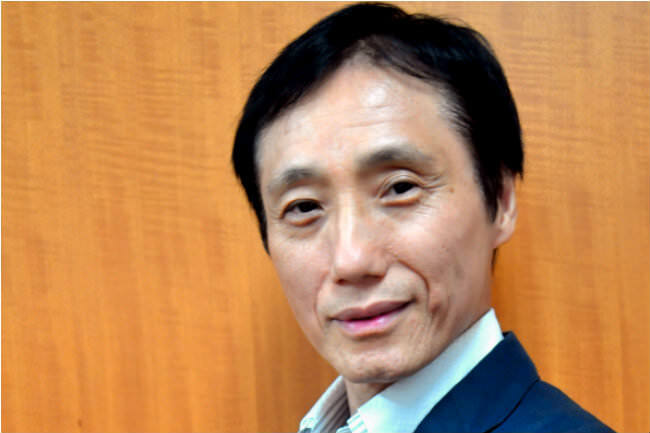 Satoki Sano is a managing director of Cosmo Public Relations Corporation. He is committed to designing integrated communications in Japan for multi-faceted global and local brands. Satoki helps clients communicate effectively — whether through media or speeches/presentations. Satoki Sano has led an impressive career in strategic communications with over 30 years’ experience. 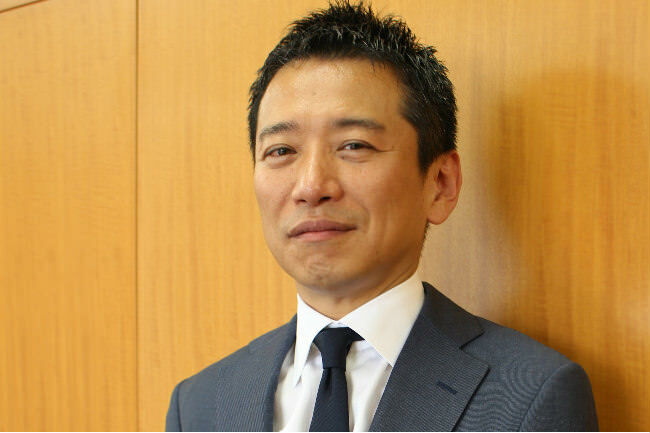 He is influential in the advertising and marketing industry; Satoki served as COO of JWT Japan, Executive Manager of Hakuhodo, and Professor of Business Administration at Meiji University in Tokyo. Satoki’s extensive work experience includes well-known international clients, including Coca Cola, BMW, Nestle, Shiseido, and more. He also served as marketing director for Budweiser Japan, during a joint-venture between Anheuser-Busch and Kirin Beer. Satoki Sano received his B.A. and M.A. from International Christian University, with a major in biological and experimental psychology. He is also an avid soccer fan. Atsushi Hirose is a managing director of Cosmo Public Relations Corporation. 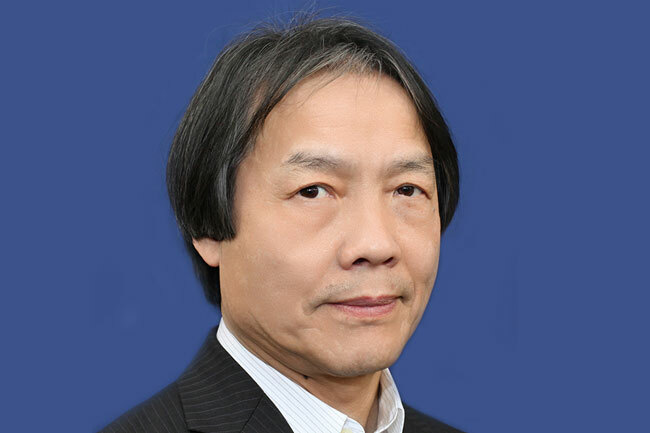 Atsushi has over 20 years of corporate experience and specializes in the areas of pharmaceutical product marketing, corporate branding and HR training and assessment. At COSMO, he provides strategic counsel for a range of healthcare accounts. He has abundant expertise in pharmaceuticals and brand management. Prior to COSMO, Atsushi worked with Zeneca Pharmaceuticals (currently, AstraZeneca) where he was responsible for cardiovascular and oncology product marketing as well as marketing training for product managers. He also held the position of managing director at CareNet Inc., a leading provider of internet-based medical information in Japan. He was responsible for pharmaceutical company and e-business marketing. Atsushi also consults on business and product development, big-data marketing analysis and utilization, and talent development and assessment for pharmaceutical companies. Atsushi Hirose graduated from Franklin University, with a BA in Marketing and Business Management. He loves fine food and wine. COSMO leverages our business expertise to contribute to a better society by supporting NPOs and NGOs in their communication activities. 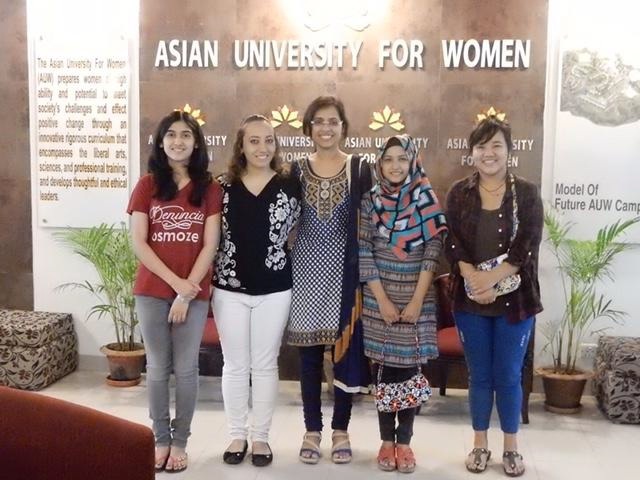 The Asian University for Women (AUW) provides outstanding students in Asia with new higher education institutions. By focusing on women’s ability and training leadership, AUW aims to build a more equal, stable, and enriched society in Asia and elsewhere. In addition, COSMO supports JKSK, an NPO committed to empowering women and empowering society. The Global Health Innovative Technology Fund (GHIT) was founded in cooperation between the public and private sectors in order to promote the development of new medicines from Japan. GHIT aims to conquer infectious diseases, such as AIDS, tuberculosis, malaria and “Neglected Tropical Diseases (NTDs)”, which thrive in developing countries. The fund receives financial support from the Ministry of Foreign Affairs, the Ministry of Health, Labor, and Welfare, 5 representative pharmaceutical companies in Japan, the Bill & Melinda Gates Foundation, and UNDP. There are very few women leaders in modern day Japan. To solve this problem, four Japanese and American college students established LADY: Leadership and Action for Determined Youth, a leadership program for Japanese high school girls in September 2015. Each member individually realized the importance of women’s issues, but they have come together to work towards one goal, to lead Japanese high school girls to become future women leaders of Japan. COSMO partners with a number of networks and specialist agencies worldwide to deliver global communication programs that resonate with a Japanese audience.